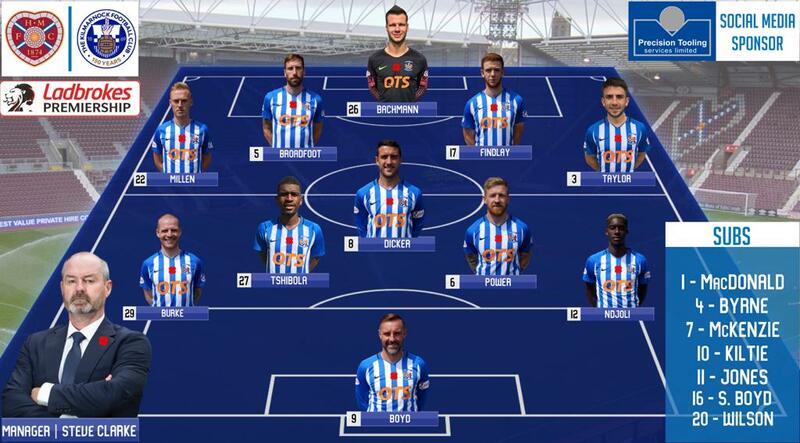 Bachmann, Millen , Broadfoot, Findlay, Taylor, Burke (McKenzie 75), Tshibola, Dicker, Power, Ndjoli, (Wilson 90), K Boyd, (Jones 79). Subs Not Used: McDonald, Byrne, Kiltie, S Boyd. 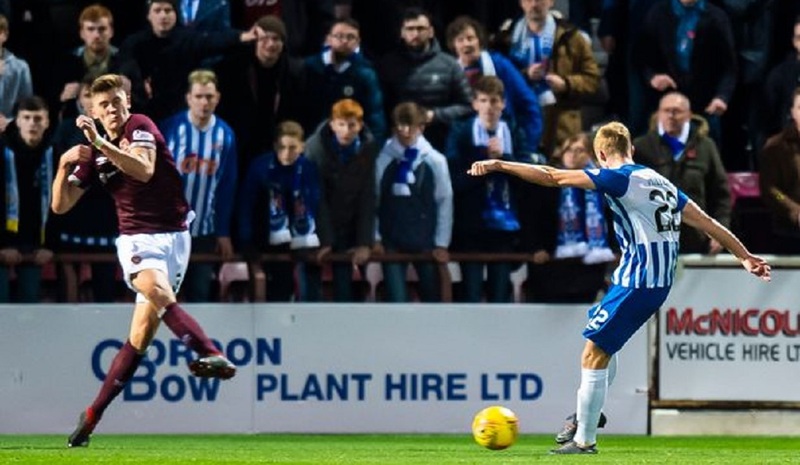 Scottish Premiership leaders Hearts slumped to a third defeat in four games without a win thanks to Ross Millen's first goal for Kilmarnock. 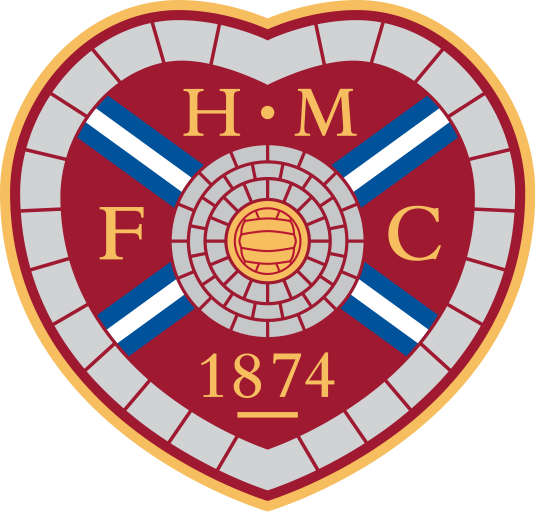 Hearts had the slightly better of the 72 minutes that passed before Ross Millen fired a powerful drive low under the body of goalkeeper Zdenek Zlamal. Chris Burke, who set up the goal, was denied within two minutes by Zlamal. 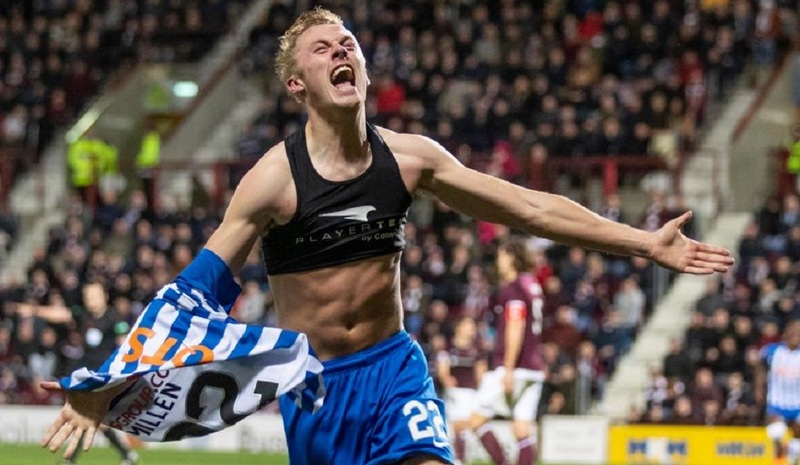 Hearts had the better of the chances thereafter, but they lacked the killer instinct of Millen in front of goal. It leaves Hearts only one point ahead of reigning champions Celtic, who can go top if they win away to Livingston - one of two games they have in hand over the Edinburgh outfit. 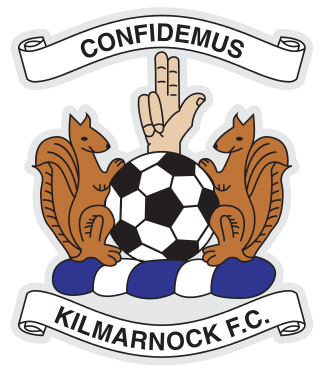 Kilmarnock move up to third, two points behind their hosts, after ending their own run of three games without a win. Steve Clarke: “I’m delighted to get back on track after last week especially after losing a game we shouldn’t have last weekend. It was important we got back to good defensive habits and a clean sheet. But, I think we should have more points. I think we should be higher in the league. I am probably a little bit disappointed with our points tally to be honest. But it is nice at this stage of the season to be so far away from the bottom two and if we can pick up a lot more points over the next eight matches over the winter break then maybe if we do it properly between now and the winter break then we can think about mounting a serious challenge for the top six again". 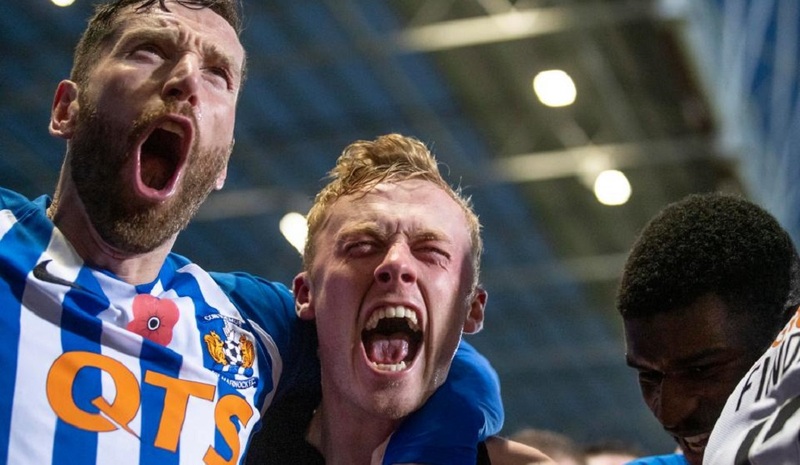 “For a club like Kilmarnock that is always the priority. We have to get away from the bottom, then we have to try and cement a top six place, after that it for the supporters to dream. Not for us".